The tag line for the Verizon Wireless Hub is "Welcome to the Home Phone Reinvented." This struck as funny coming from a wireless carrier and, at the same time, quite an interesting statement coming from one of the largest landline carriers in the country. Yes, Verizon Wireless is a separate company partially owned by Vodafone, but Verizon Communication is the majority owner. What is the Verizon Hub? Read my review on pocketnow.com. Business professionals and now consumers are embracing the concept of handheld computing, however a major obstacle still exists: easily and seamlessly synchronizing content between all of our computing platforms. SharpCast aims to change this with their SugarSync service. The SugarSync service provides online file backup and synchronization between compatible devices, including those powered with Windows Mobile. Read my review on pocketnow.com. There are many models of miniature speakers you place close to your ears. They are called headphones, earphones, or earbuds. You have a choice of models which fit over the ear, in the outer ear or inside the ear canal. CellPoint, a Swedish company which specializes in outer ear earphones, has recently released their Flamingo Music wired stereo earphones. The Flamingo Music was a winner of the 2008 CES Award for innovative design and engineering. They use CellPoint's second generation EarClick technology for a personalized fit in your outer ear. Read my review on pocketnow.com! Having weather information at your fingertips allows you to make or alter decisions such as whether you should bring an umbrella, what to wear, and what to plan...in real time. 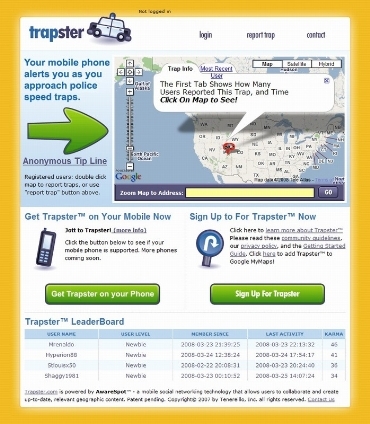 In addition to mobile weather web sites, basic weather forecast information has found its way into many Windows Mobile applications like Windows Live Search. There are several weather-centric applications which provide more in-depth weather data for the meteorologist in all of us. SBSH Mobile Software has recently released version 2 of Pocket Weather for Windows Mobile Professional and Standard. Let's see how well the weather information helps us not get caught in the rain! Read my review here. The definition of Facade in the Merriam-Webster dictionary states; 1: the front of a building; also : any face of a building given special architectural treatment <a museum's east facade> or 2: a false, superficial, or artificial appearance or effect. The first definition clearly describes the intent of SBSH Mobile Software in creating Facade as a replacement for the default Windows Mobile Standard Home screen. SBSH Mobile Software has recently released version 1.4.1 of Facade. Will this give your Home screen the face lift it needs? Read my review on pocket now here. Read my comparison on pocketnow.com here. 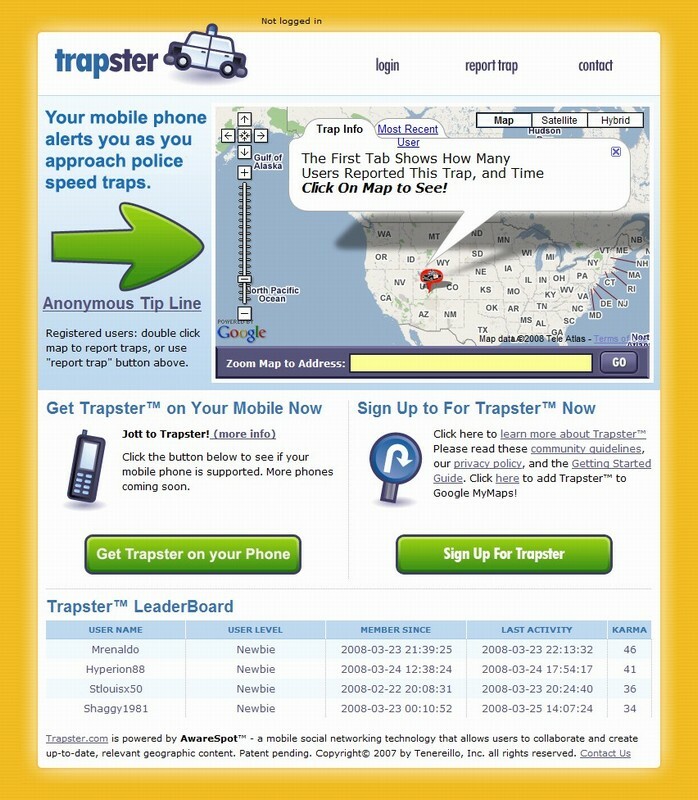 I have been using trapster.com on and off for over a month now. The review which was published on pocketnow.com provides an overview of the service which I describe as the social of radar detector. Read my review on pocketnow. 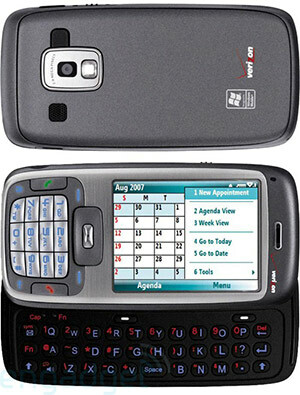 The SMT5800 is Verizon Wireless' first Windows Mobile 6 Standard smartphone with a slide out QWERTY keyboard. 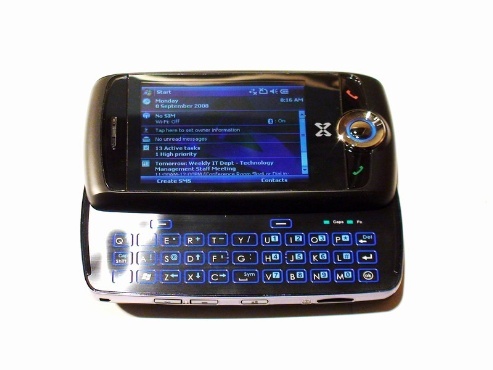 It is manufactured by HTC and is the CDMA cousin of the S730. The SMT5800 fits very nicely in the palm of you hand, yet at 4.2 ounces delivers a lot of performance with a QUALCOMM MSM7500 400MHz processor and access to Verizon Wireless' EVDO broadband network. It is however one of the few new smartphones without WiFi Let's see how well it performs on Verizon's network. View and read my video review at pocketnow.com.